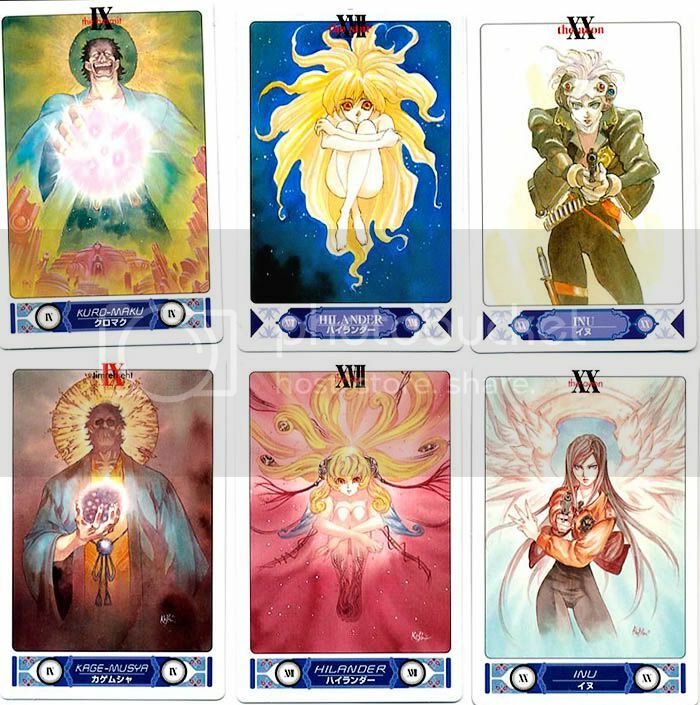 Last fall, as I posted here, I managed to find copies of the three different fantasy RPG Blade of Arcana Tarots. 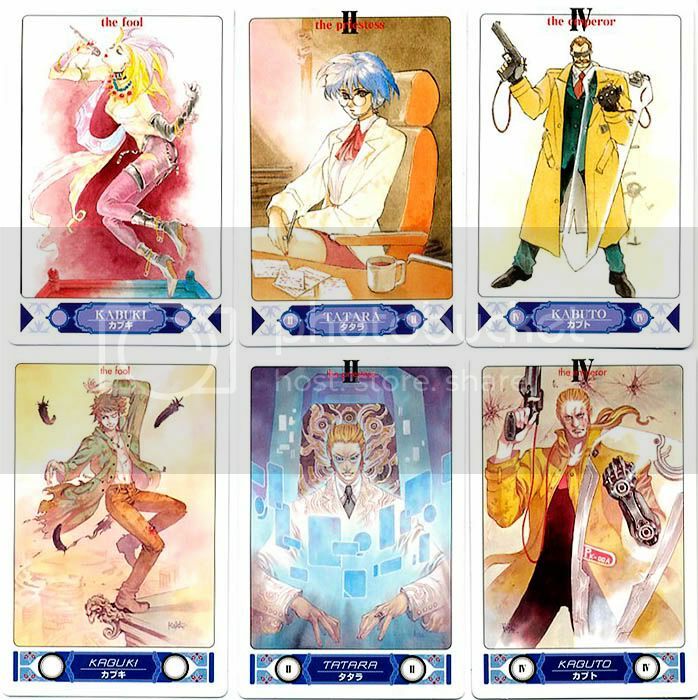 While hunting for them, I discovered that the same game company also publishes a cyberpunk-themed TRPG called Tokyo NOVA that also uses cards as a play mechanic. 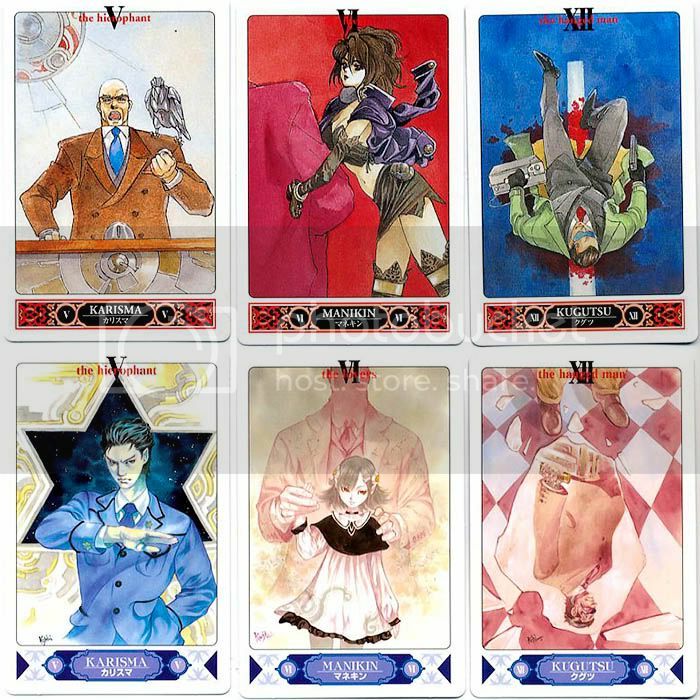 One edition of the game, Tokyo NOVA: The Revolution, includes a set of tarot cards and has been listed at TG for some time. Interestingly, this is actually the third edition of Tokyo NOVA, but only the first to include the tarot. Like BOA, there have been two subsequent editions of the game, Tokyo NOVA: The Revolution Revised and the latest, Tokyo NOVA: The Detonation. 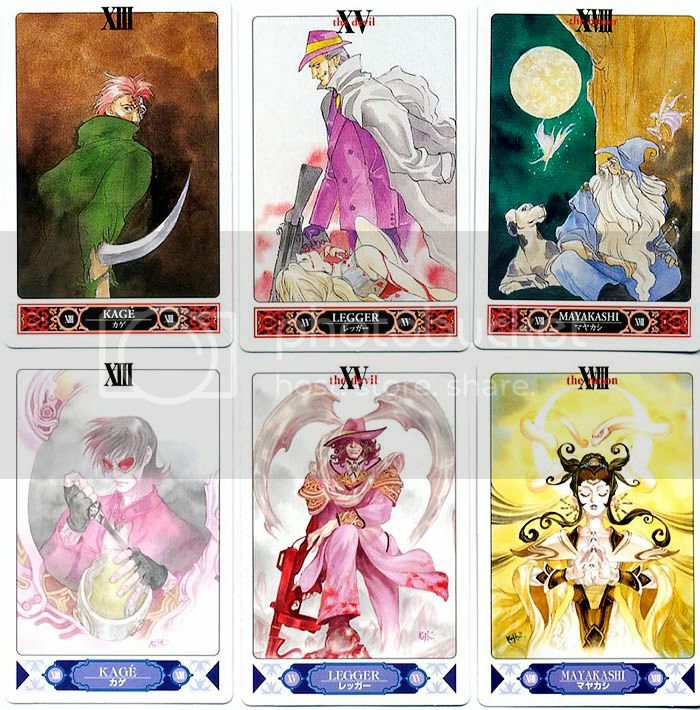 However, unlike BOA, which included completely new decks with each edition, the Tokyo NOVA deck has gradually evolved. Specifically, The Revolution Revised has 6 cards that are different from the ones in the original Revolution. The rest are the same - although the design of the borders were changed. The Detonation includes the 6 cards that were new in The Revolution Revised, plus another 11 new cards. So, compared to the original Revolution, it has 17 new cards, with 5 remaining the same across all three decks. Rather oddly, unlike the others, The Detonation deck has two different Hermit cards, one with the name printed backward. 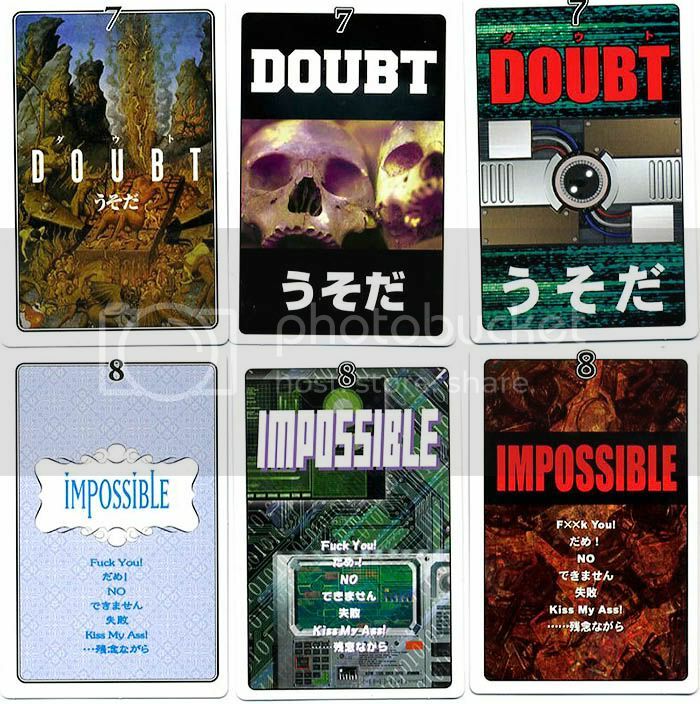 I realize that this sort of thing is a pretty small niche for collectors, but since I finally managed to hunt down all three deck, for those few of us who care, here are some scans showing the evolution of the deck.